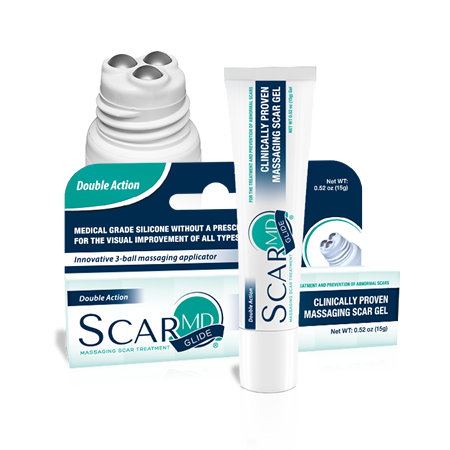 ScarMD® Glide Massaging Scar Treatment uses an innovative 3-ball massaging applicator for dual action effectiveness in treating your scar. Silicone Gel is clinically proven effective to decrease scar tissue, red, raised, pain and itching associated with scars; as well as, soften existing scar tissue and prevent abnormal scarring. Don’t wait any longer and start erasing scars today !